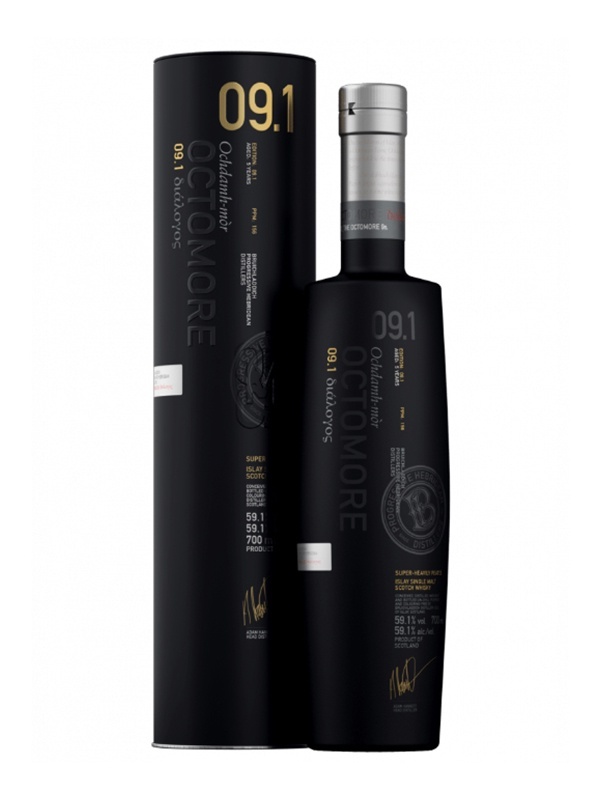 Another wonderful Octomore, the 9.1 has been released. 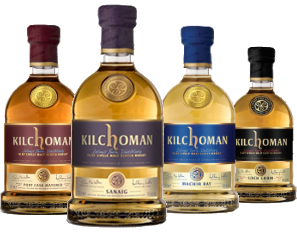 This time it has been distilled in 2012 using 100% cottish Concerto barley. 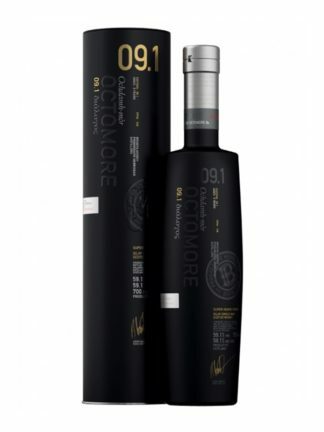 And in typical Bruichladdich, Octomore style, peated to a bonfire lip smacking 156 PPM! And bottled at a wonderful cask strength 59.1% ABV, so much more room for teasing those intense flavours out with a touch of water.This edition has been matured in first fill American oak casks, and of course none chill filtered and natural colouring – naturally!100% 1st-fill American oak barrels:Barrels: ex-Jim-beam (51%), ex-Jack-daniels (26%), ex-clermont (15%), ex-old-grand-dad (8%) Distilled 2012, crop year 2011. 100% Scottish Concerto barley. 156 ppm. Hot bonfire embers, fresh pine and grapes. 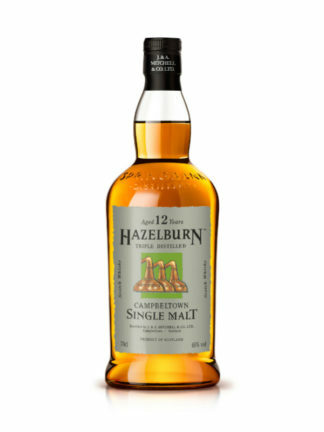 Palate smacking smoke and charcoal, alpine forests and dried apricots. 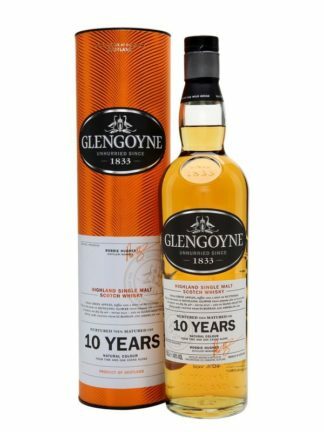 A long and peppery smoke dissipates into ginger and oak.